Monday mornings mean I need coffee. Preferably in a great location like Woods Coffee in Boulevard Park, one of the most gorgeously located coffee shops in Bellingham, WA. It’s a great place to get a breath of fresh air, a yummy latte, and delicious pastries baked by Avenue Bread. 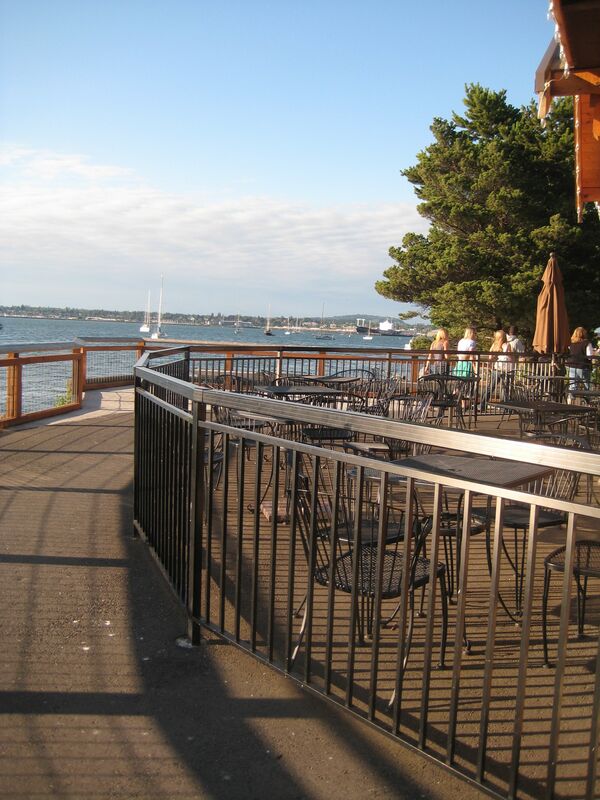 I find their prices a bit high sometimes, but come on, where else can you get such a great view of Bellingham Bay? You rarely see this many empty seats on the patio! Check out their outdoor patio on a sunny afternoon and your cares will float away. If you still need to work or study though, they do have wifi. There’s always plenty of people with their laptops and notebooks, using the view as inspiration. If it happens to get cold (we all know it’s coming), the inside is pretty cozy too, with a central fireplace. And if you want to take a walk, there are nice trails to downtown Bellingham in one direction and Fairhaven in the other. 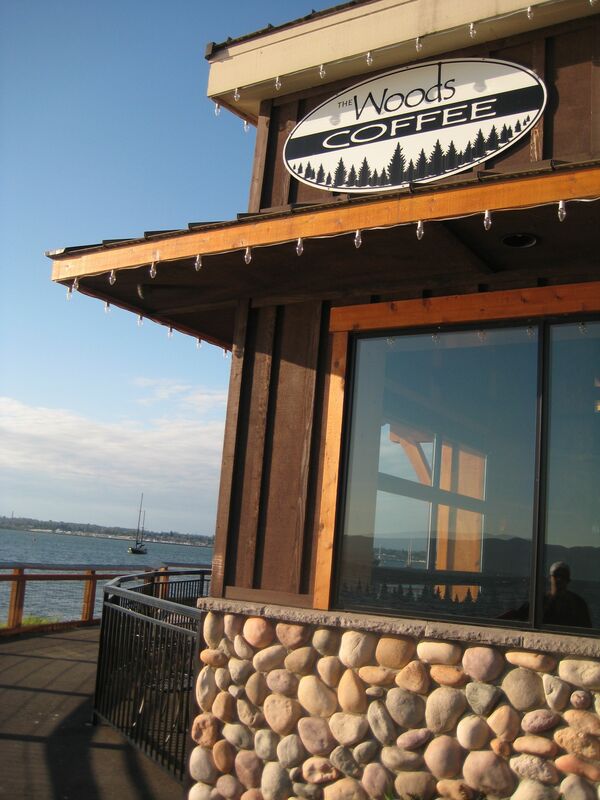 This is one of 10 locations for locally owned Woods Coffee. It’s a great destination for tourists and locals alike!